We've been practicing for Halloween since mid-October. 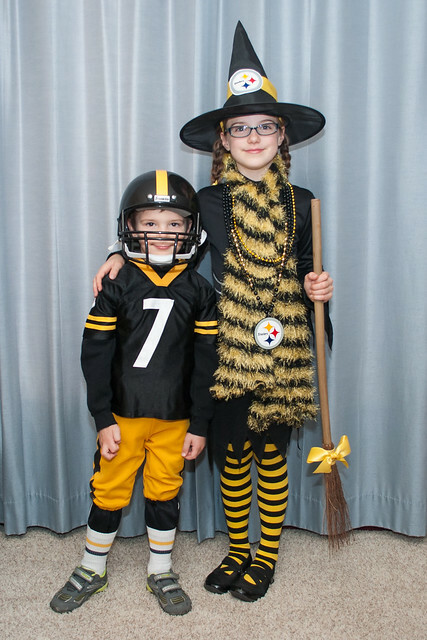 We went to a party, visited a local shopping center, did trunk-or-treat and each of the kids had a school party. Most of those things included candy, and all of them were attended in costume. So it didn't matter too much that actual trick-or-treat this Halloween was cold and rainy, right? More pictures from the Halloween season are on Flickr.